Sorry, folks. Raven-Symone had a vision, and it told her not to hire you if you have a traditionally black name. Raven made this bizarre statement during a segment of The View talking about a study on racial biases and names. "I am very discriminatory against the ones that they were saying in those names," she said. "I'm not about to hire you if your name is Watermelondrea. That's just not gonna happen." After 7 seasons, American Ninja Warrior finally has an American winner to claim the million-dollar prize. Kermit the Frog has got a new boo. After Kermit and Miss Piggy announced their split earlier this summer, Kermit told the press that he had a new love in his life. Well, now we finally have a peek at the happy couple. Meet Denise, Kermit's girlfriend. She's also a pig, but seems to be a bit more chill than Miss Piggy. As with most things, reactions were mixed on the Internet. Kermit doesn't know any beautiful female frogs? His mama's a frog. His sister is a frog. Who taught Kermit to hate himself? 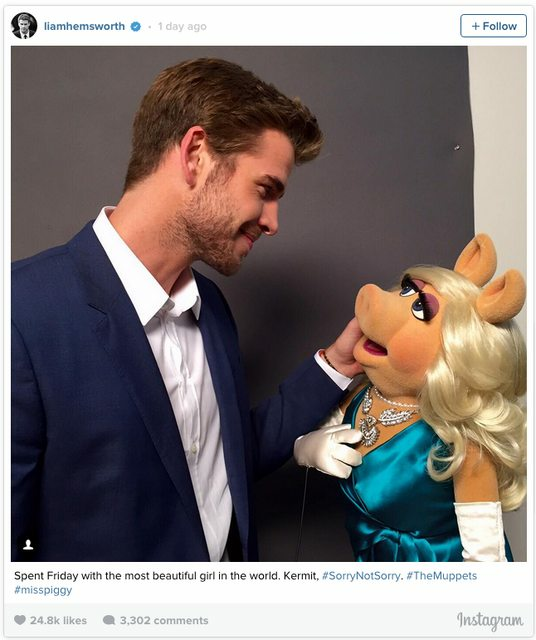 But it doesn't seem like Miss Piggy even cares to notice all of the new attention on Denise.